To measure abrasion resistance, the new CE regulations test for motorcycle clothing utilises what is called a Darmstadt machine. It measures abrasion by reference to a speed. The old test, known as the Cambridge test, measures abrasion resistance in seconds. The Cambridge test, by the way, involves lowering swatches of garment onto a revolving sanding pad. Now because nobody yet really understands the new tests, a number of manufacturers are still testing the abrasion resistance of their products using the existing Cambridge test. It allows for more meaningful comparisons with products that are already on the market. Anyway, Rokker has recently tested a number of its garments at the approved SATRA test facility, and whilst we always knew their products were immensely strong, both they and we were surprised at the 'slide times' they recorded. The proper way to test for abrasion; the correct and official way; is to take the mean of six separate tests, three directions, then repeated. Many jeans companies advertise their best, one-way score, rather than the mean score. That's cheating, it's illegal, and it's downright dangerous if it causes somebody to buy the wrong product, in the mistaken belief that something is stronger than it is. Now it’s generally accepted that leather scores something between four and four and a half seconds. And most people acknowledge that leather delivers slide times that are way beyond what is necessary for normal road riding. You might need four seconds on a smooth race track if you come off at a three figure speed, but it's highly unlikely, on the road, that you'll ever slide for anywhere near four seconds on one area of material. Any textile garment, therefore, that achieves an elapsed time that is anywhere near to four seconds is pretty darned impressive. The tests conducted for Rokker took place in January this year, and what they have revealed is beyond any expectations. We already knew that the Rokker's single-layer Rokkertech jeans were tough. The last time they were tested, the slide time was 5.81 seconds. 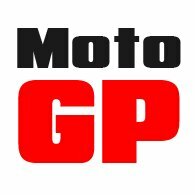 But in the recent tests, the time recorded was an astounding 6.39 seconds. That’s more or less 50% better than leather. It reinforces all our views about these amazing jeans. And remember; with a single-layer jean the 'slide time' applies to every part of the jean. A high-end Kevlar-lined might appear to perform to a similar level. 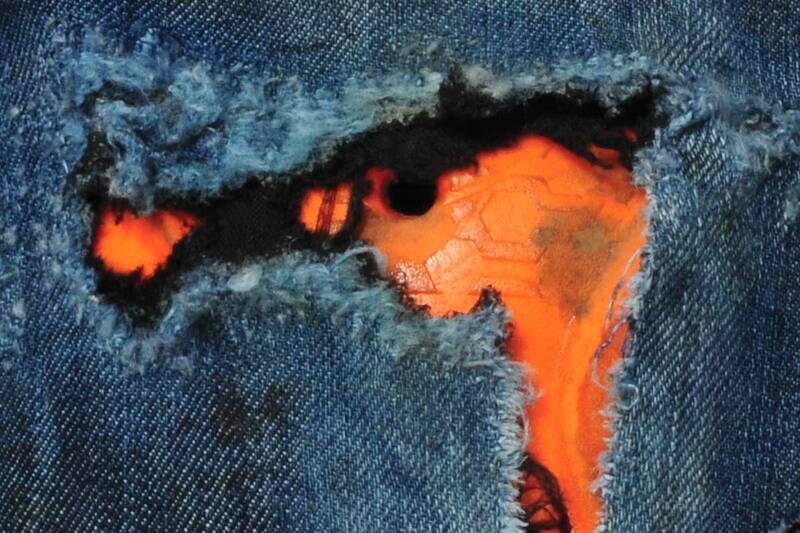 But that will only be in those areas where there's a Kevlar backing, and very few jeans are 100% lined. The problem is that jeans that are are fully lined are heavy, uncomfortable, and unbearably hot in the summer. By contrast, the Rokkertech jeans flow air almost like a mesh pant. 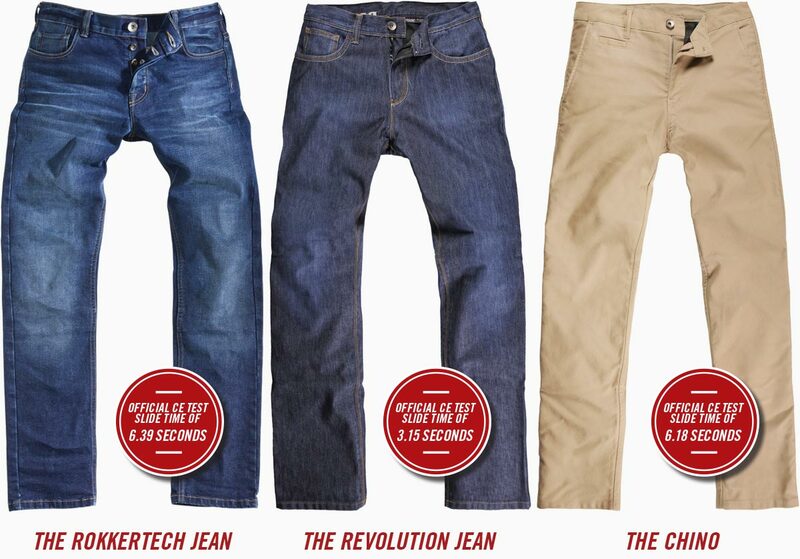 We have never sold Rokker’s amazing waterproof Revolution jeans solely on the basis of their abrasion resistance. We knew they were pretty good, but the Revolution jeans' USP is their amazing levels of waterproofing. The latest SATRA tests, however, give the Revolutions a 'slide time' of 3.15 seconds. Below leather, but still mighty impressive in our book, especially given what else these jeans do. Next up on the rig, was the Black Jack fabric that is used used in the company’s chinos. We love Rokker's chinos. They’re work smart, with a cut that’s military precise. We’d call them sturdy rather than lightweight, but they are single layer, so they're certainly not uncomfortable to wear. Well, in the test, they scored 6.18 seconds. So here’s a pant you can wear in the office all day, and ride home in knowing that you’re wearing a trouser that’s more protective than a leather pant. We're impressed. The same fabric forms the basis of Rokker's Black Jakket, by the way. We’ve always known that Rokker makes great gear, but I don't think anybody realised it was this good. It's never cheap, but it always looks the business, and now we all know, officially, that it does the business too.